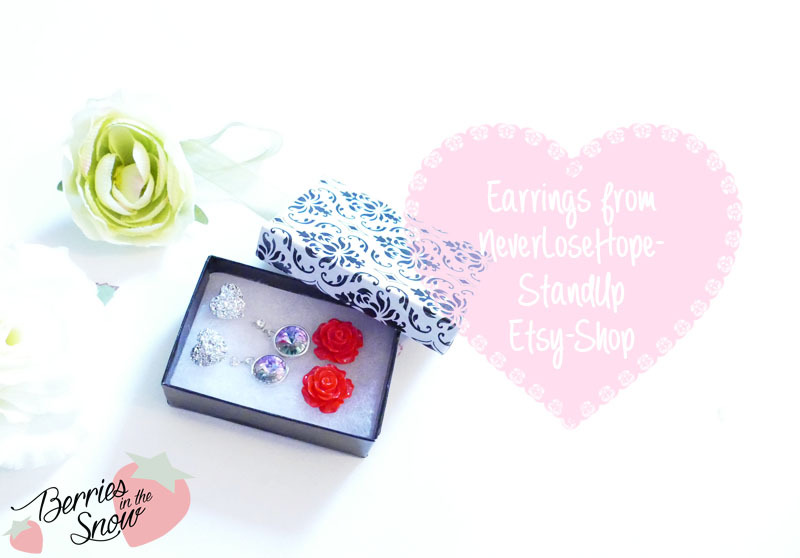 Suley, the owner of “NeverLoseHopeStandUp” comes from California, US, and opened up this Etsy Shop last year (according to Etsy on 3rd of April, so it is almost her anniversary! Congratulations!). She sells self-made jewelry, mostly earrings, but also rings and neclaces. You will find cute heart- or flower shaped jewelry, but also elegant ones. I ordered from her shop as regular customer and the order arrived within 1.5 weeks from US to Germany, which is great. 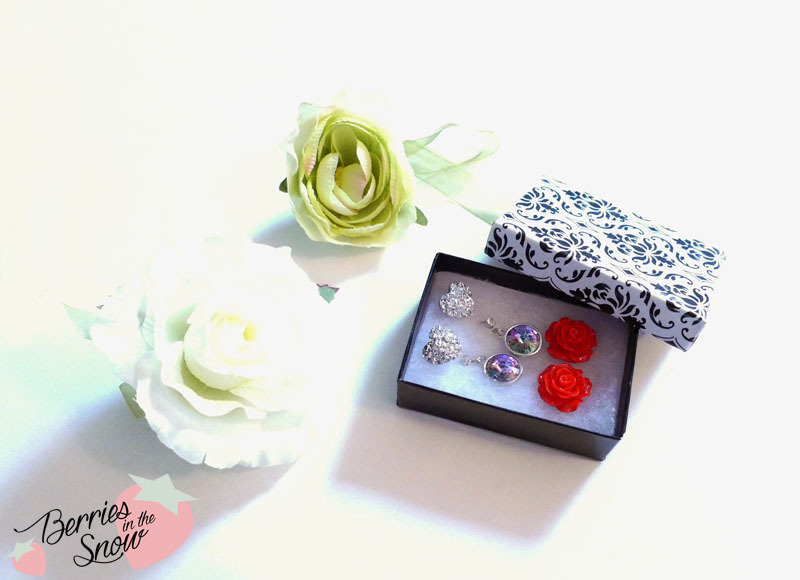 The earrings were packed in a cute box and wrapped with bubble wrap. The first pair of earrings I selected was this pair of Swarovski earrings called “Mrs. Swarovski”. It has a beautiful color, shimmering in multiple purple/green shades. I have some Swarovski jewelry, but I didn’t have a shade like this yet. These earrings are simple hanging earrings and I think they look very elegant. 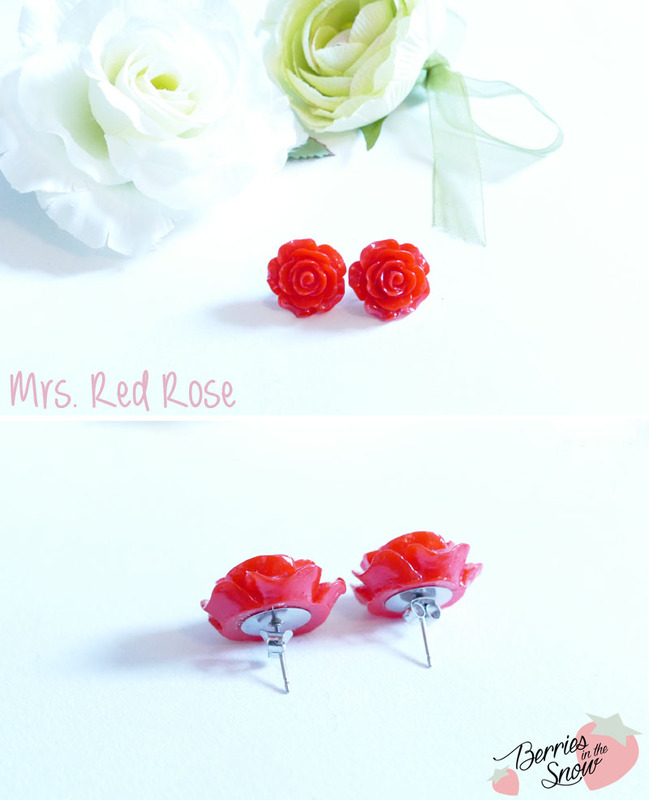 The second pair of earrings I selected are more simple, cute studs shaped like a rose. They have the name “Mrs. Red Rose”. From the two earrings these are really affordable and cost only 3 US$. The Swarovski earrings are priced at 12 US$, but the price is still affordable regarding the Swarovski stones. 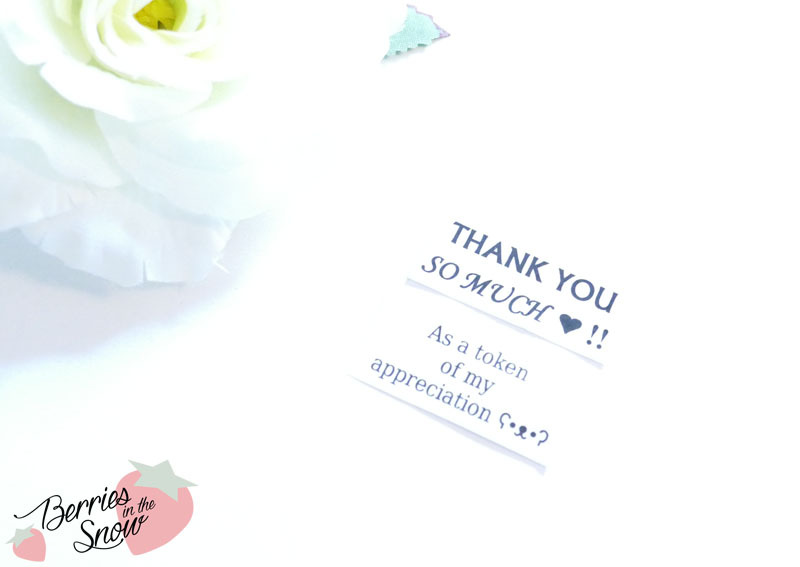 I recieved this third pair of earrings surprisingly, together with some cute notes. 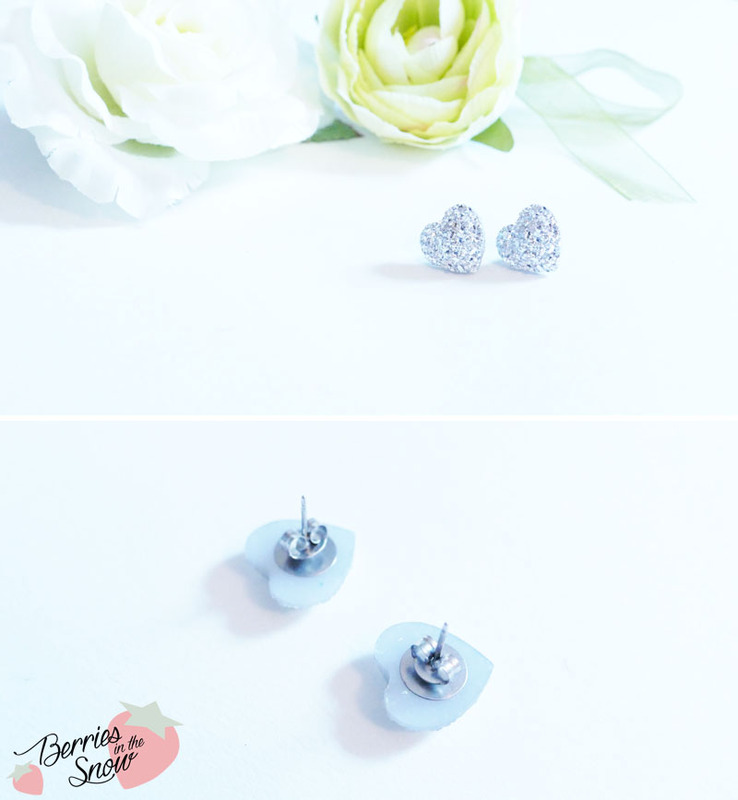 I couldn’t find them in the shop, but these heartshaped resin crystal studs are adorable! They fit for everyday and have a beautiful shimmer, although they are no real crystal. Just as a short reminder: All products mentioned and reviewed on this blog are of my personal opinions. This product here was sent to me for reviewing purpose by https://www.etsy.com/de/shop/NeverLoseHopeStandUp, which doesn’t influence me in providing my honest opinion on the products.